When it comes to the retail business, proper inventory management is the key to keeping your business from going under. The problem is that keeping track of inventory is one of the most difficult things you can do. On a daily basis, you get to deal with sales, new receipts, returns, breakages and so many things that affect the stock level. Although it is hard, keeping track of your inventory is the most important thing you have to do. In this article we have highlighted the top 10 benefits of using inventory management software for retail that will make your work easier. Knowing which products sell the most will enable you to invest in the most profitable stocks. 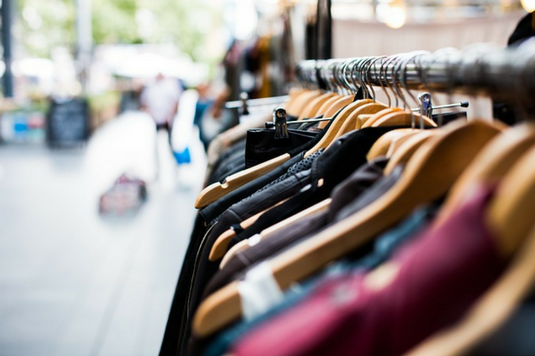 Success in retail requires you to invest wisely by buying the right quantity; enough to keep the sales going while at the same time preventing stock-outs. A dedicated inventor management system will help identify the fast and slow moving products. You can use that information to reallocate your budget to invest in profitable products. The inventory management software for retail will help see the products that are running out, compare the stock with what is selling and reorder automatically before you run out. Automated reporting also helps identify problems right away. Reconciling sales and purchases through the automated system will give a stock report that keeps you updated on what is going on in the warehouse. Reporting is done automatically so less time is spent in stock closing. At the end of the day, you just confirm the data. Real time notifications and alerts and accurate information is useful in helping you act fast and never miss any sales opportunity. A modern system allows you to run quick stock reports to get an update on what is going on. You can compare stock and reorder stock automatically. The inventory management software for retail will lead to efficient reordering. The accurate reports will let you know what is in stock, what is moving the fastest and what is running low. This helps make informed buying decision. A dedicated management system helps spot even the smallest errors immediately. The automated inventory system will help you know if a step is being missed in the warehouse. The inventory management system will grow with your business. You can automate most processes so as to reduce overhead costs associated with hiring more staff. The inventory management software for retail can be integrated with most of your other tools including accounting. The system generates reports in real-time thus can save the accounting team time. The software will let you know what is in stock, what has been sold and keeps track of everything that has been sold and shipped. Automating processes helps reduce the need for hired labor. Precise inventory management leads to better customer service. You can track shipped orders, keep up with inventory levels and identify incorrect shipments. The software will also enable you to speed up the recall process and forge better customer relations. Gaining customer trust gives you an edge in the competitive market.